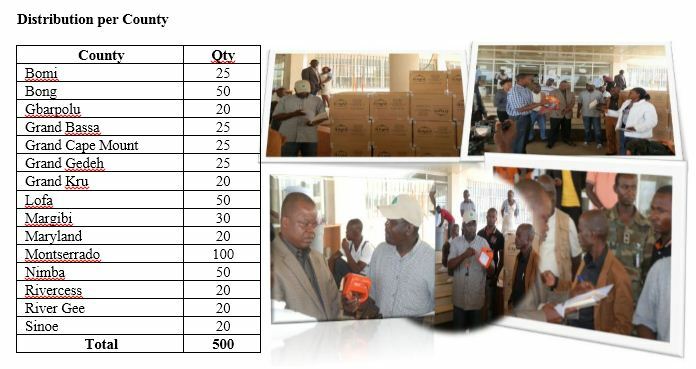 Rural & Renewable Energy Agency (RREA), on Friday August 22, 2014, donated 500 sets of high quality solar lanterns to the Ministry of Health for distribution to Ebola Response Teams (ERT) working in the 15 counties of Liberia. Speaking at a brief ceremony at the Ministry of Health, the Executive Director of the RREA Mr. Augustus V. Goanue said the donation is intended to provide improved lighting for health workers and other responders who are sacrificing to render care for Ebola victims across the country on a 24/7 basis. He said the lack of electricity in rural areas has compelled health workers, security, and others involved in the fight against Ebola disease to use flash lights, candles and kerosene lanterns, and hence, has prompt the need for better lighting (that uses appropriate and affordable technologies, such as solar lanterns) to be used by the ERT in remote communities. The use of the solar lanterns will also help those who rely on generators to work at night in case of breakdown or lack of fuel. More importantly, the solar lanterns contain accessories for charging mobile phones, thus enabling continuous communication by users. 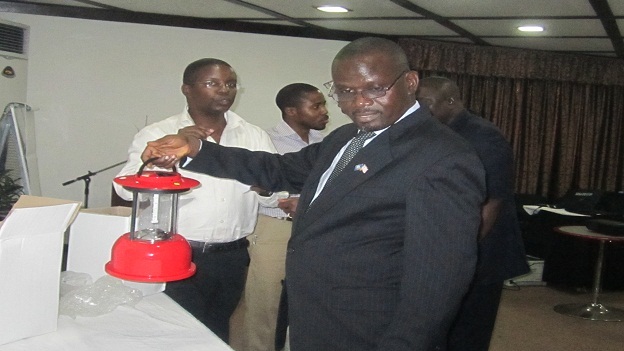 The donated solar lanterns is a courtesy of the Lighting Lives in Liberia (LLL) Project, one of several projects being implemented by the RREA to provide modern renewable energy services to off-grid users in Liberia. The LLL Project is financed by the Global Environment Facility (GEF) Trust Fund Grant, and administered by the World Bank.